MORAN — Secretary of the Interior Ryan Zinke touted his agency’s new wildlife migration and winter range preservation strategy in Wyoming on Saturday, efforts critics say he has already undercut by selling controversial oil and gas leases. Not so said Lisa McGee, executive director of the Wyoming Outdoor Council, a group that protested the BLM’s mid-September third-quarter oil and gas lease sale. In that sale energy companies bought the rights to develop 9,167 acres in the Red Desert to Hoback mule deer migration corridor, according to an analysis by WOC. 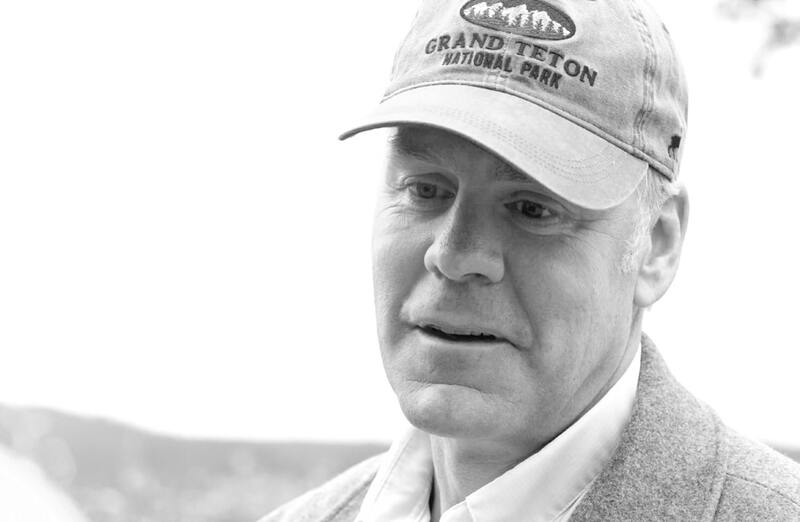 “It is a disconnect — absolutely,” McGee said of the difference between Zinke’s words and his agency’s actions. The outdoor council had asked that 32 parcels in the deer migration corridor be deferred, but McGee said 15 of those ultimately were sold. The auction of the parcels in question brought $98,343, half of which goes to Wyoming, according to the council. That’s not worth the potential disruption of a now-famous wildlife journey that covers more than 150 miles, she said. “For about $50,000 we’ve put the world’s longest mule deer migration corridor at risk,” McGee said. Zinke was at Jackson Lake Lodge on Saturday, he said, to brief members of Congress on the Restore Our Parks and Public Lands Act that seeks to address an $11.7 billion public lands maintenance backlog. He also addressed his migration and habitat order and answered questions from reporters. Zinke’s Interior Department assistant Heather Swift said after the brief press conference that the leases in question were issued with stipulations to safeguard the corridor and that some prohibited above-ground disturbance. The state of Wyoming agreed to the plan, she said. Zinke and Gov. Matt Mead on July 31 announced that Interior was deferring 5,000 acres from the third-quarter sale because of wildlife worries. The Interior Department “will prioritize the conservation of a mule deer migration corridor in southwest Wyoming through both deferred lease sales and lease stipulations,” Mead and Zinke announced in the joint press release in July. “By combining lease deferrals, and lease stipulations, we can achieve the right balance on Federal lands,” Zinke’s statement read. McGee said WOC would not have protested the leases had they been conditioned with stipulations as announced. Instead, unenforceable “lease notices” were attached to the sensitive parcels. “They call it protective stipulations [which is] absolutely incorrect,” she said. 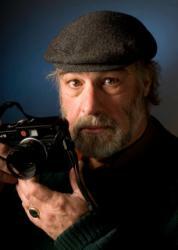 “Had it been a stipulation with protective language we would not be challenging this decision. The council asked Wyoming to back a deferral of the parcels in question, she said. “The state declined to ask for it,” she said. Zinke said his agency will support migration corridor research, pointing to more than half a million dollars in grants recently made to Arizona and Utah to study the issue in those states. He agreed that significant research has been done in Western Wyoming on the mule deer route, on the Path of the Pronghorn between Grand Teton National Park and wintering grounds in Sublette County, and on other routes in the Yellowstone Ecosystem. “Wyoming is a little ahead of the pack,” Zinke said. 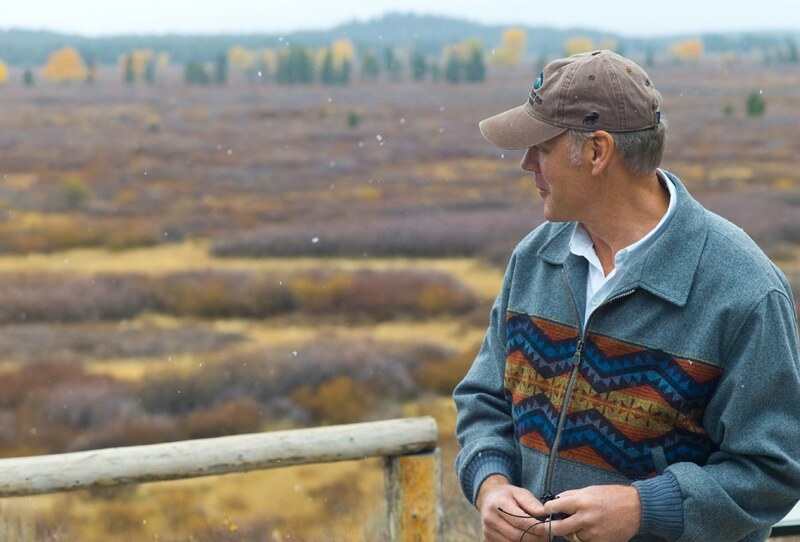 A national park biologist — Steve Cain in Grand Teton National Park — helped identify the extent of the Path of the Pronghorn, enabling the Bridger Teton National Forest to protect it in 2008 as the first national migration route. But the BLM has not adopted a similar strategy for the southern end of the route through its property. When asked whether the BLM should join the Forest Service, which is an agency in the Department of Agriculture, not the Department of the Interior, Zinke stopped short of agreeing to that move. “I think it’s time for every department to work together for common purpose,” he said in response to the question. The Coalition to Protect National Parks, a group of retired Park Service employees whose members have seen other reorganizations, objects to Zinke’s plan. “The goals of such reorganizations were invariably noble, and implemented with good intentions,” group chairman Philip A. Francis Jr. wrote Zinke on Aug. 18. “But the outcome of most all of these efforts was the same – significant money spent, lives of countless employees disrupted, suffocating distractions, and reductions from the basic mission and goals of the National Park Service. In analyzing Jonah Energy’s development request the BLM predicted “numerous potential indirect impacts, including … migration disruptions.” BLM approved the NPL field this summer with 7.9 percent less long-term surface disturbance than proposed. As such the agency expects “similar impacts,” to Jonah’s plan “but to a lesser degree.” The NPL plan has been in the works for years, long before Zinke became Secretary of the Interior. Nevertheless, Zinke saw a different threat to pronghorn than oil and gas development. Highways, too, are a threat to migrating wildlife that he would address, Zinke said. “A lot of the wildlife corridors have been interrupted by highways,” he said. Interior is “looking at a system for prioritizing our overpasses,” in hopes of potentially even recreating lost migration routes, he said. Ryan Zinke in Grand Teton National Park. What emerged was a plan to drill 135 wells. “The public had to raise $9 million to buy out those leases,” she said. 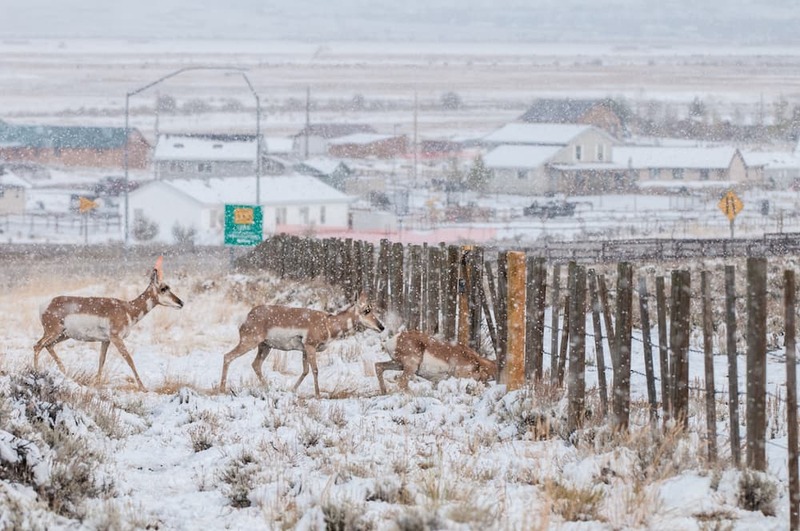 Mule deer avoid developments, including energy fields, according to a paper by Teal B. Wyckoff, a researcher with the Wyoming Cooperative Fish and Wildlife Research Unit, Department of Zoology and Physiology at the University of Wyoming. “Our results suggested that deer increased rate of movement, reduced time in stopovers, and shifted stopovers in areas of intense development,” a summary of her and others’ research reads. It was published in February in the journal Ecosphere. 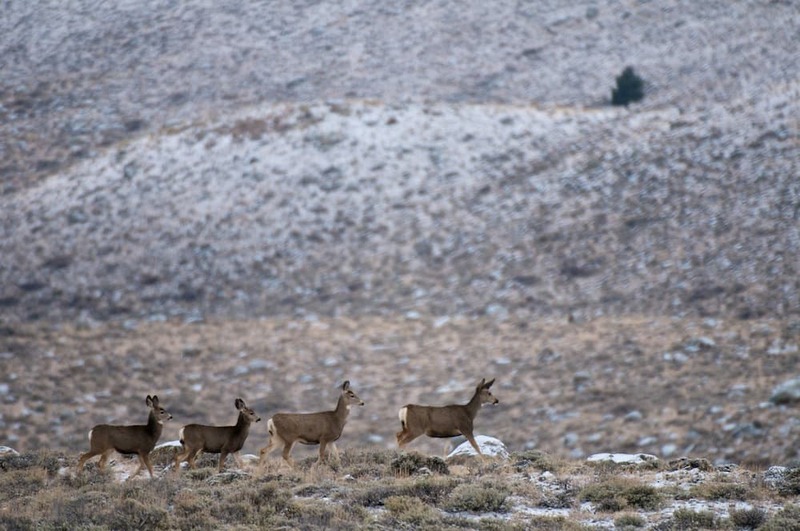 As WOC mulls its next step in its protest of the mule deer migration corridor leases, it takes some comfort in a recent federal court decision in Idaho. McGee said the court decided that the truncated comment and protest periods proscribed in Interior’s sped-up leasing plans are too short. “We’re coming up to the point where they might have to postpone the December lease sale in order to comply with this order,” she said. If we were smart, we’d develop our own plan for conserving, protecting and enhancing these corridors and send him the bill….. The Sweetwater Solar project (the first industrial solar project in the state), is being built in the midst of antelope migration and winter habitat. Despite, as you mentioned, Zinke’s express acknowledgement that fencing and antelope don’t mix. The solar project is even worse than oil and gas development in the sense that it creates a single use landscape inaccessible to people, wildlife and livestock. These migration routes need protected from all development that can’t accommodate wildlife. The mule deer and pronghorn migration corridor in western Wyoming is a national treasure and the fact that Zinke and Mead are promoting a large new natural gas development right in the middle of it is a disgrace. There are suitable areas for energy development in Wyoming, but right in the middle of this vital migration corridor isn’t one of them.